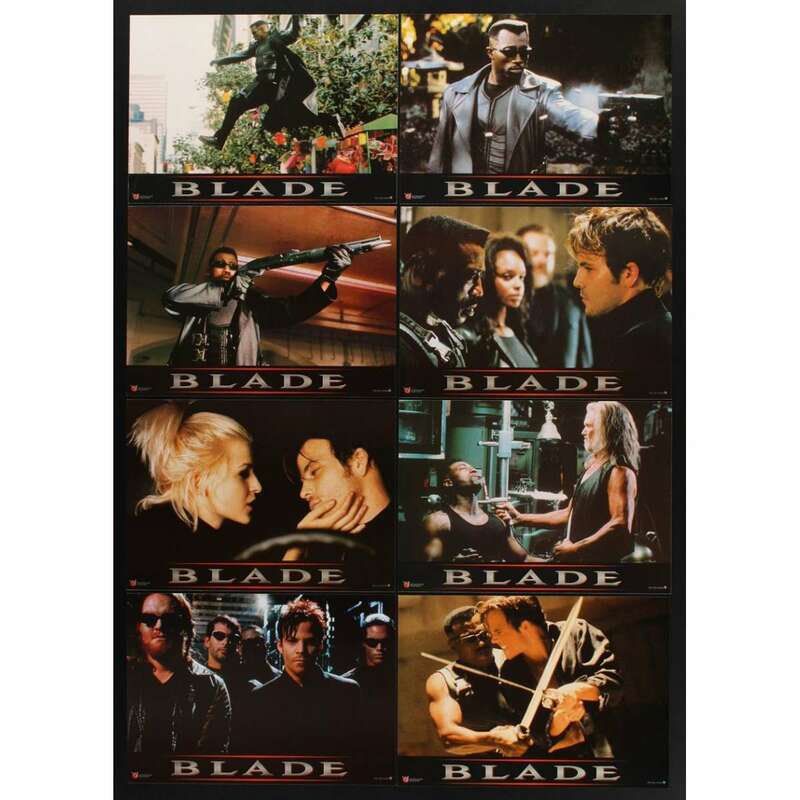 > Lobby Cards and Photos>BLADE 8 French LCs '98 Wesley Snipes, Stephen Dorff, Kris Kristofferson, vampires! BLADE 8 French LCs '98 Wesley Snipes, Stephen Dorff, Kris Kristofferson, vampires! 8 Original Vintage Theater-Used French Movie Lobby Cards (LCs; measure 8 1/4" x 11 3/4" [21 x 30 cm]) Condition: Very Good to Excellent (C7) See our 10 GRADE SYSTEM Page for more information. Blade is a 1998 American vampire superhero action film starring Wesley Snipes and Stephen Dorff, loosely based on the Marvel Comics characterBlade. Important Added Info: Note that these French lobby cards measure 8 1/4" x 11 3/4" [21 x 30 cm]. Also note that this auction also includes the envelope this item originally came with!